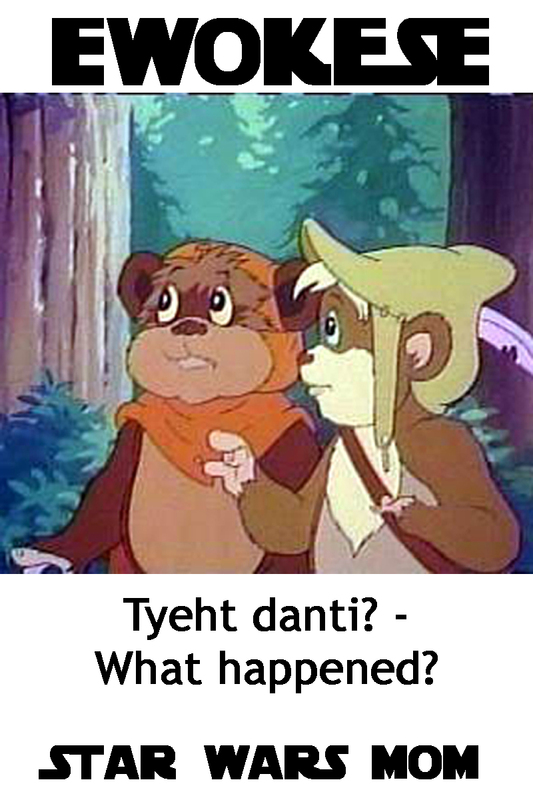 Moving forward from Lesson 3, today you will learn your first question in the language of the Ewoks. As any Star Wars fan knows, there is a long-standing feud about Han and Greedo, as to who shot first. This may puzzle you and require you to ask, "What happened?" The retort used by any person who saw the original film is, "HAN SHOT FIRST!" There are actually several changes in the 1997 re-releases that tend to upset fans of the original films with George Lucas for his response to them. Being able to ask, "What happened?" in Ewokese has a way of lightening the mood of any intense Star Wars conversation!